The purpose of this chapter is to analyse how interactions between civil society organisations (CSOs) are affected by each organisation’s collective identity.1 The question is of particular relevance when women’s organisations with different collective identities coordinate their activities in the field of gender equality. Is a common women’s identity possible and is it desirable? 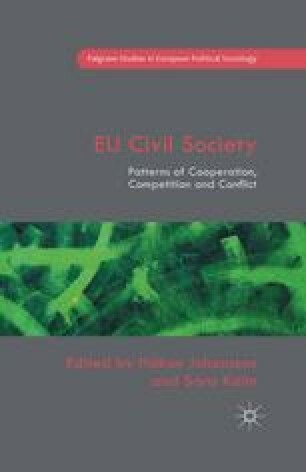 How are collective identity and interactions between CSOs discussed in a political environment as complex as the European Union (EU)?